The online resource for medical cannabis information has awarded its coveted Seal of Approval to the Herbalizer, a vaporizer developed by former NASA engineers. Former NASA engineer changes the game in Vaporization. As medical cannabis grows in popularity, more and more patients have been turning to vaporizers as a superior method of ingesting their medicine. 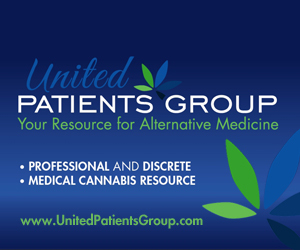 The selective review committee at United Patients Group, a trusted online resource for medicinal cannabis information, have been looking for the perfect vaporizing system to recommend to patients, and they’ve finally found it: the Herbalizer. The sleek clamshell design, adjustable heat settings, aromatherapy mode, and discreet stash spot make “Herbie” the perfect companion for cannabis patients of all experience levels—earning it the United Patients Group Seal of Approval. Many medical cannabis patients find vaporizing to be the easiest delivery system for cannabis relief. Smoking your medicine can be hard on the lungs and destroys many of the gentle components of cannabis, eating it can take too long to take effect and too uncontrolled. Vaporizing delivers quick relief without the smoke—a win/win. And, vaporization saves you money on your medicine because there is no waste. The Herbalizer is designed with smartvape technology to deliver precise temperature vaporization. This precision makes Herbie the best vaporizer for patients because it enables specific cannabinoid extraction, and has control and repeatability of the relief it delivers. It functions in two modes, vapor-therapy and aroma-therapy, so patients can choose between three delivery modes: a balloon, a silicone whip, or freestyle. 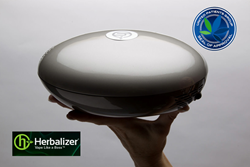 For more information about the Herbalizer, visit http://www.herbalizer.com. 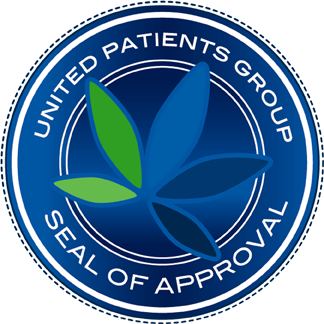 For more information about medical cannabis or the United Patients Group Seal of Approval, visit http://www.UnitedPatientsGroup.com.